Each year SXSW engages hundreds of industry professionals to serve on various Advisory Boards and as Awards Judges. These individuals perform a number of assigned tasks throughout the season, across many aspects of the event, and serve as ambassadors, spreading the word about the events they work with. Their contributions have helped shape and grow the event and are a valuable component to the continued success of SXSW. Thank you for your interest in serving on one of the SXSW Advisory Boards. Advisory Board members not only play an important role in helping SXSW staff choose and shape the content that appears at the event each year, they are also seen as representatives for the events that they advise, building community support and creating excitement about SXSW. This year we are implementing a new system that streamlines the intake process for both new and returning Advisors Board members and Competition Judges. People interested in serving as a SXSW Advisory Board Member or Competition Judge will need to fill out the simple form. Contact Information – Collecting more complete contact information will help us better serve you during the process: tracking your progress, keeping your accounts consistent, and issuing your registration. Additional Information Section – Advisory Board members play an important role in SXSW. Providing us more information about your background and online presence will help us determine if you are a good fit for the SXSW programs you are interested in working with. This information will also help SXSW staff and Track Leads get better acquainted with people who will be helping to select programming. Interest Section – There are several different SXSW Advisory Board opportunities, each with slightly different timelines, tasks, and criteria – detailed in the sections below. The last section of the form asks you to chose which Advisory Board you are interested in working with. Before you complete the form please take a moment to look through the detailed information about each available opportunity listed below. The process for applying to SXSW Advisory Boards and Judging Panels is fairly simple. Answer a few questions about your background and interests. Select which Advising body you are interested in working with – see detailed information below. SXSW Staff will review each entry to determine suitability and compatibility based on the criteria set form for each opportunity. You will be notified of your status based on the TIMELINES listed with each group below. If confirmed you will be given more detailed information about your tasks. Upon completion of your assigned tasks, you will be issued the PERK listed with each section. The SXSW Conference Advisory Board aids in the selection of the majority sessions featured daily throughout the Conference in each programming Track by grading a selected number of PanelPicker-proposed sessions via the SXSW Evaluator. The Advisory Board also helps to shape the focus of each Track via pre/post event surveys and, in some cases, direct communication with the SXSW Track Lead. Advisory Board input on PanelPicker proposals accounts for roughly 40% of the decision making process, with staff and public input each accounting for 30%. Fill out CONTACT and ADDITIONAL INFORMATION sections. When prompted select at least five (5) TRACKS you are most qualified to advise on. Availability through, and adherence to, timelines listed below. Absolute discretion. Votes and/or opinions on PanelPicker proposals are NOT to be shared via social media or via any other channels, etc. NEW MEMBERS – No previous SXSW Conference Advisory Board experience. RETURNING MEMBERS – 1-5 years past SXSW Advisory Board Membership. Completion of online application form. Grade 200 PanelPicker proposed sessions via the SXSW Evaluator. Complete pre-event and post-event Advisory questionnaires. RETURNING MEMBERS ONLY – Option to work directly with SXSW Track Lead to further shape content. BADGE – One (1) complementary 2019 SXSW Platinum Badge (registration). Two (2) 2019 early registration discount coupon codes for colleagues. One (1) complimentary 2019 Interactive, Film or Music priority companion registration. 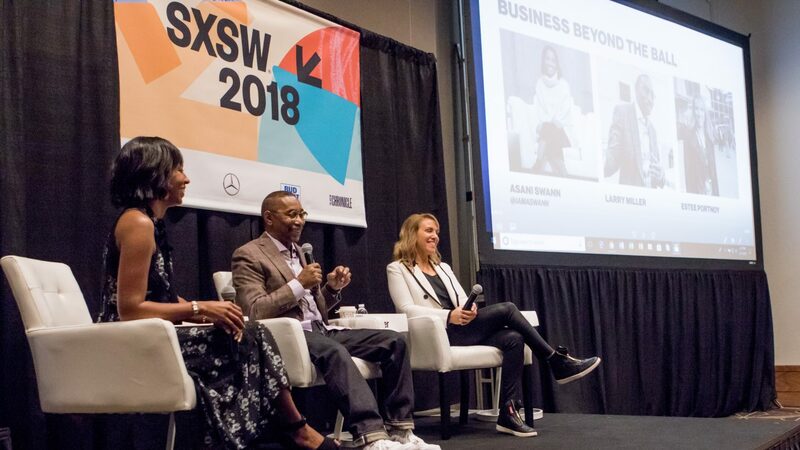 TRANSFER – If you are unable to attend SXSW 2019, but still wish to participate in the 2019 Advisory Board you can transfer your comp Advisory Board Badge to someone else for the 2019 event. HOTEL BLOCK – SXSW does not cover transportation or hotel costs, but there is a limited number of downtown hotel rooms set aside for Advisory Board members. “Limited number” means that if you don’t complete your grading set until the deadline day, these rooms will probably all be gone. The sooner you finish grading, the sooner you will receive your registration, the sooner you can book your room. Will be reassessed after each year of grading to determine continued status. Are NOT prohibited from entering speaking ideas — although you are prohibited from judging their own session proposal. Will not be issued a complimentary SXSW badge (registration) if grading in not completed in the allotted time. Will not be invited back if grading is not completed, or all other requirements have not been fulfilled, in the allotted time. Will have involvement revoked and will not be invited back if SXSW Code of Conduct is violated. For more information about this event visit the SXSW Conference page. For questions about the Advisory Board process email Christine Auten at christine@sxsw.com. NOTE: These perimeters do not apply to Film Conference Tracks. For inquiries about serving on the Film Advisory Boards contact Christine Auten. The Interactive Innovation Awards Advisory Board and Finalist Judges provide valuable assistance in spreading the word about the awards, encouraging entry, recruiting new Advisors and Judges, and finally, determining the winner of each category and the Best of Show Award. Competition judging takes place in two rounds. Before the event Advisory Board members grade competition entries via the SXSW Evaluator. Their grades help to determine the five Finalists in each category who will be invited to SXSW to demo their work at the Finalist Showcase on Saturday, March 9, 2019. During the Finalist Showcase the On-Site Finalist Judges cast their votes for the winner in each category, to be presented at the SXSW Interactive Innovation Awards Ceremony on Monday, March 11, 2019. In the INTEREST section select “SXSW Interactive Festival Advisory Boards and Awards Judges”. If confirmed you will be contacted for further information about which portion of the event you are interested in, “Pre-Event Advisory Board” or “On-Site Finalist Showcase Awards Judges” – see details below. Pre-Event Advisory Board – 15-20 collective hours. On-Site Finalist Showcase Judges – 3-6 collective hours. Encourage competition entry within your communities. Grade 100 Interactive Innovation Awards entries within your categories of expertise via the SXSW Evaluator. Option to participate as an Onsite Judge at the Finalist Showcase (see below). Attend the SXSW Finalist Showcase on Saturday, March 9. Access to special Advisory Board block of hotel rooms. Will be reassessed each year of grading to determine continued status. For more information about this event visit the SXSW Interactive Innovation Awards page at sxsw.com or email interawards@sxsw.com. Each year, the Advisory Board lend their industry expertise as they evaluate hundreds of applications and help determine the companies that will present in March. These individuals are instrumental to the success of the SXSW Pitch, and their hard work, diligence, and support in bringing together the future of the technology industry to our event is greatly appreciated. NOTE: Invitations to serve on the SXSW Pitch Advisory Board have already been sent for the 2019 season. If you are interested in helping out with this event, go ahead and follow the directions below. Once you have completed the form someone with SXSW Pitch will contact you with further information. Meet the minimum number requirement requested for each task requested of the Advisory Board members. Extensive experience within the startup eco-system. Strong startup network locally and/or internationally that can be engaged. NOTE: The Judging occurs during the Thanksgiving Holiday. Timeline may need to be adjusted based on various to be determined factors. Additional items may be needed to be added to timeline based on the response of various items and direction of the programming of the event. November 19 to December 7 – Online judging of the pre-event applicants who apply for the event. Note: These dates are over the Thanksgiving Holiday. Provide a minimum of 5 advisory board recommendation for the SXSW Pitch. If your suggestion is selected, you will need to provide an email introduction to the event producer. Recruit a minimum of 5 startup companies to apply for the SXSW Pitch Event on the SXSW website. Provide a minimum of 5 judges recommendation for SXSW Pitch. If your recommendation is selected, you will need to provide email introduction to the Event Producer. Online judging of the pre-event applicants who apply for the event. Market Event on your Social Media. Provide timely / written answer to our written post-event survey questions regarding trends. One (1) complementary 2019 SXSW Platinum Badge (registration). If you have submitted a Business Application for possible participation in the Accelerator event, then this becomes a conflict of interest and we can NOT have you as an Advisory Board Member. Will be reassessed each year of to determine continued status. Involvement will be terminated and will not be invited back if SXSW Code of Conduct is violated. For more information about this event visit the SXSW Pitch page or email Michelle Murdough at michelle@sxsw.com. The built environment and design of our shared spaces have a profound influence on our daily lives. In the public realm, design-based solutions can produce a wide range of outcomes impacting areas as diverse as health, behavior, social interaction, creativity and civic engagement. Place By Design is SXSW’s public space design competition. NOTE: Advisors for SXSW Place By Design Awards are hand selected from past Place By Design Advisors and SXSW Conference Advisory Board members. If you are interested in helping out with this event, go ahead and follow the directions below. Once you have completed the form someone with SXSW Place By Design will contact you with further information. For more information about this event visit the SXSW Place By Design page or email Leah Hollingshead at leah@sxsw.com. The SXSW Art Program Advisory Board is comprised of leaders from all backgrounds in The Arts and Creative Sector. Board members include representatives of the community such as artists, curators, and event professionals from all over the world, each offering unique and diverse perspectives. They lend their industry expertise as they evaluate the art program’s proposals to assist SXSW Art Program selections. These individuals are instrumental to the success of the SXSW Art Program and their hard work, diligence, and support in shaping our program is very appreciated. NOTE: Invitations to serve on the SXSW Art Program Advisory Board have already been sent for the 2019 season. If you are interested in helping out with this event, go ahead and follow the directions below. Once you have completed the form someone with SXSW Art Program will contact you with further information. Able to devote approximately 20 hours to the tasks assigned. Strong network locally and/or internationally that can be engaged. Share our request for proposals with artists you recommend. Assist with grading and evaluating the applications. Share ideas for speakers, installations, media or other strategic partners. Share PanelPicker with potential speakers for the conference program. Promote the SXSW Art Program and its artists with their network. NEW MEMBERS – Will be reassessed after the first year of grading to determine continued status. RETURNING MEMBERS – Will be reassessed after five years of continuous grading to determine continued status. For more information about this event visit the SXSW Art Program page or email artinstallations@sxsw.com. The SXSW Gaming Advisory Board helps shape the content and direction of SXSW Gaming each year primarily through evaluating session proposals that are entered through the SXSW PanelPicker. SXSW Gaming Awards Judges assist with the production of the SXSW Gaming Awards by helping SXSW Staff with outreach for entries and by judging games entered in the competition. Advisory Board and Gaming Awards Judges are instrumental to the direction of SXSW Gaming every year and their contributions are greatly valued. One (1) guest blog post during the 2019 season. Will not be issued a complimentary registration if grading in not completed in the allotted time. Will not be invited back if grading is not completed in the allotted time, or all requirements have not been fulfilled. For more information about this event visit the SXSW Gaming Sessions page or email Andrew McNeill at andrew@sxsw.com. For more information about this event visit the SXSW Gaming Awards page or email Andrew McNeill at andrew@sxsw.com. The Advisory Board plays an important role in shaping the SXSW EDU Conference & Festival. The board is comprised of leaders from all backgrounds in education including professionals from K-12 and higher education. Board members include representatives of the community such as teachers, administrators, entrepreneurs, policy makers, and students from all over the world, each offering unique, and diverse perspectives. Members of the Programming, Launch, Learn by Design, and Expo Student committees contribute their unique insights and are crucial in the success of the March event. NOTE: Invitations to serve on the SXSW EDU Advisory Board Programming Committee have already been sent for the 2019 season. If you are interested in helping out with this event, go ahead and follow the directions below. Once you have completed the form someone with SXSW EDU will contact you with further information. When prompted select the Committee you are interested in. For more information about this Advisory Board visit the SXSW Edu Advisory Board page or email Jazmine Smith at jazmine@sxswedu.com.